We all know that our bodies need water to survive. But are you getting enough water to ensure your body thrives? Adequate hydration is important for so many functions in the body including digestion, temperature control, transport of nutrients, detoxification, disease prevention, and even appetite control. Getting lots of water can also help your skin look clear & youthful. Who doesn’t want that? It can be difficult for a lot of people to get enough water throughout the day, and how much is enough? Opinions vary on the amount of water we should be consuming each day but if you start by aiming for 64 oz. or 8, 8-oz glasses of water each day then you’re on the right track. If you can get even more in, great! Quality is important too, try for filtered or fresh spring water versus tap or water bottled in plastic. 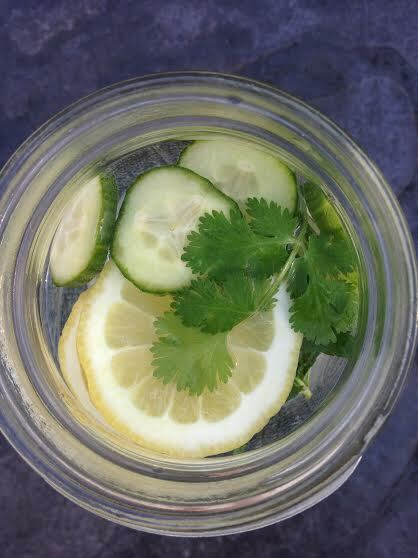 My favorite way to make sure I drink enough water is to fill up a large (8 cup) mason jar, add some fresh fruit and/or herbs, and pour a serving into a glass or water bottle throughout the day. For me it’s easier than keeping track of how many glasses I’ve had. Water infusions are a great way to help yourself get enough water because they taste so delicious and refreshing! It’s a much healthier alternative if you like fruity or sugary drinks. Infusions have all the flavor but no sugar! They’re also a great way to get the benefits of the nutrient-rich rind & skin of fruits you don’t normally eat such as citrus peel and watermelon rind. 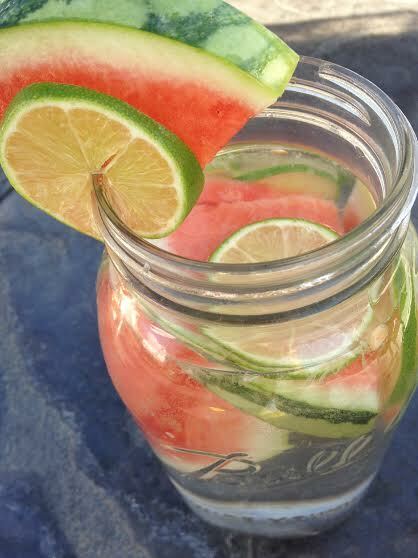 Just wash and slice up your ingredients, put in a large mason jar or pitcher, add fresh filtered water, & enjoy! You can do this in the morning and sip throughout the day or even let it infuse in the fridge overnight! Make sure to use fresh, organic produce whenever possible. You don’t want pesticide residue soaking in your drinking water! Watermelon is full of heart-healthy lycopene and anti-inflammatory properties. *Tip: use the watermelon rind! The white flesh that most people cut out & discard is full of nutrients like vitamin C & antioxidants. Limes and citrus fruits in general are a good source of vitamin C but did you know that citrus fruits also contain phytonutrients that have both antioxidant and antibiotic health benefits? It’s important to consume some of the white pith and rind when enjoying citrus fruits because these parts actually contain dietary fiber and sometimes even more vitamin C than the fruit inside! Pineapples are high in vitamin C, manganese, antioxidants, and anti-inflammatory properties. They also contain enzymes that have digestive benefits. Mint leaves are not only cooling & refreshing but can also aid in digestion and help reduce allergy symptoms. Grapefruits are among the highest fruits in terms of antioxidant activity, they are also detoxifying, contain vitamin C, and the red & pink versions are a good source of lycopene. Rosemary contains properties that benefit the immune system, are anti-inflammatory, and increase circulation (especially blood flow to the brain which can improve concentration). Recent studies even show that rosemary can increase memory by 75%! Just add a sprig or two to your infusion and cheers to a healthier you! 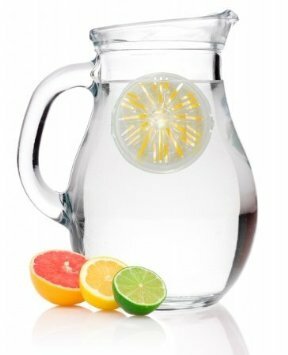 I like this infuser water bottle, this glass infuser pitcher, and this infuser ball to help make your infusions that much easier to create!